The primary thing you should know is the full form of API, Application Programming Interfaces. The basic function of API is to build a connection between your app and other systems. It increases the efficiency and functionality of the mobile app. It is used for developing communication between the apps and other things like operating systems. The user experience will be uplifted by integrating API in the app. 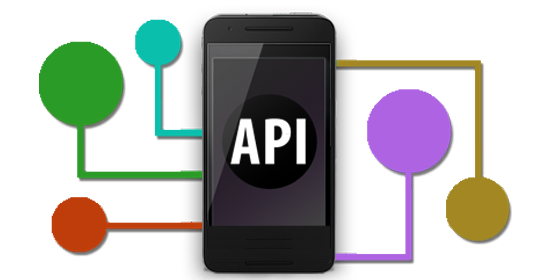 There are plenty of uses of API which makes them a significant tool for developing an app. API can be developed, designed, and customized as per the needs. And why not? It rules the access point of any system of the app. 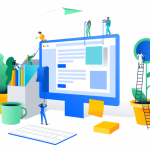 There is a whole lot of flexibility about how the APIs can be used and where it can be used whether in the app or in the system you are developing. APIs are everywhere and you must be using it without even knowing it. You use it while you are texting, calling, or even using the camera of your phone, using the GPS, or even calendar. They are a part and parcel of your routine and integrated into every piece of technology you make use of. Whether it is a website that asks signing in through Facebook or a mobile app you are using, it has APIs. So, if you are involved in an app development business, the question here is whether to build API by yourself or you should buy it. Integrating an API is must, there is no confusion to it. There are basically two ways to do it. The first option is to integrate an already existing API into an app. The second option is to develop a new one all by yourself. The first option is very much easy. It will save you a lot of time, lot of money, and need lesser experience. Creating the API from scratch is difficult, time-consuming, and increases the budget. On the contrary, creating an API will allow more customization as per your exact needs and also maintain the high-security standards. There are plenty of sites you can use for having already developed APIs. However, if you are going another way around, make sure to hire an experienced and expert developer who can do justice with your requirements. While building an API from scratch, don’t forget to insert a developer key. This way, anyone who wants to use the API has to insert a code for using it. This will make sure it stays away from any kind of misuse, hacking, or abuse. The best thing about documenting the process of API development is that you can track the progress. Having proper documentation will keep you or the user updated about the current and past status of the API. In case of any updates, changes, or changes, having documentation would be a big aid. This will save you from a huge mess that might happen future when you are trying to fix it but can’t find what’s wrong. This will cause nothing but more time and more money to fix or update the API. Also, if you want your API to be popular and other developers to use it, they must know how does your API function. Obviously, process documentation will help here. There will definitely be a time when you will need to roll out an update for your API. This should be planned while you are developing your API. Make sure your development is such that it is easy and safe to roll out an update whenever needed. If you are careless while developing and deploying your API update, there is a high chance of messing with all the apps and its functionalities based on your API. The entire process of creating a new version should be defined on the case by case basis and a procedure should be framed before the situation arises.